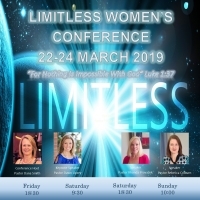 Come prepared to worship and to receive some powerful teachings from anointed women pastors who will challenge you to go deeper in your faith as a woman. Much prayer and planning has gone into this event, and we believe that God will do some amazing things in everyone that attends because He is Limitless! We look forward to seeing you there. Dawn Lipsey - Keynote Speaker. We are excited to have keynote speaker Pastor Dawn Lipsey from the South Cleveland Church of God in Cleveland, Tennessee. She is the pastor of Arise Women's Ministries. Pastor Dawn is a passionate follower of Jesus Christ who longs for people to know the fullness of life that God has for each of us. She has been in ministry for 26 years, pastoring alongside her husband, Edwin for 24 of them. Together they have planted three churches and currently serve as the pastors of the South Cleveland Church of God in Tennessee. Dawn has a heart to disciple people especially women and has established a thriving women’s ministry everywhere they have pastored. She has served on State Women’s Ministries boards, State Girls Club boards, and other teaching teams. She holds a business degree from the University of Texas in Arlington which allows her to serve in the capacity of church administrator, however, Dawn is an Ordained Minister with the Church of God and loves most to share the Word of God and it’s freedom in any setting-- group studies, services, banquets, trainings and conferences. She and Edwin are proud of their children – their only daughter, Payton, who attends Lee University and their new son-in-law Zech Hampton along with their 2 sons, Easton & Ethan, ages 14 and 13, both wrestlers and all of which keep life entertaining and quite active. Dawn and her husband are both avid runners and have a life-time goal to run 50 marathons in 50 states and eventually all continents. Rhonda Provazek - Speaker. Pastor Rhonda and her husband Andrew have served as Pastor/Director of the New Hope Christian Center in Sigonella. Rhonda and Andrew founded and pastored a church in Texas where they served almost 19 years before answering the long embedded call to come overseas and serve the military families in Sigonella. Pastor Rhonda holds a degree in Music and has taught in private schools. She teaches private voice and piano lessons, and also is an Ordained Minister in the Church of God. Rebecca Colburg - Speaker. Pastor Rebecca and her husband Steve Pastor/Direct The Refuge church family in Aviano, Italy. Steve recently retired from the military after serving in the US Army for over 21 years. Immediately after retiring him and Rebecca entered full-time pastoral ministry to follow their calling from the Lord. They felt the Lord was leading them to remain in Italy to see active duty military, civilians, and the international community experience the life changing power of the Gospel of Jesus Christ. Pastor Rebecca is a powerful speaker. She is also an Ordained Minister in the Church of God. Dana Smith - Host. Pastor Dana and her husband Greg Pastor/Direct Freedom Worship Center Velburg. Before assuming the leadership position of the church in Velburg, they pastored and directed Freedom Worship Center Würzburg for over 16 years. Pastor Dana is a Department of Defense school teacher at Netzaburg Middle School where she teaches Special Education. She has been teaching school for over 26 years. She holds a Master's Degree in Special Education and is also an Ordained Minister in the Church of God. She has been active in Women's Ministry since 2002. She has organized conferences in Germany since 2006. She has a passion to see women saved, healed, delivered and serving God, with Excellence, wherever He calls them. "Friendly staff that speaks English and wonderful food at thier restaurant." Casual lodging with country-style rooms offering free breakfast & Wi-Fi, plus a restaurant & bar. "Room is nice, staff is friendly, and the town itself is cute." Located in Velburg, 5 minute walk to Freedom Worship Center Velburg. "However the location is gorgeous and the food was Great as was the service." Warm rooms & suites, some with fireplaces, in a casual hotel offering a spa & a restaurant. Free Wi-Fi & Free breakfast. "Really neat place to visit"
Located in Parsberg, 10 Minute drive to Freedom Worship Center Velburg. "Made us feel welcome. Breakfast was lovely and a good variety of food!" Located in Parsberg. 10 minute drive to Freedom Worship Center Velburg. Rating: 9/10 - 232 reviews. This family-run hotel offers creative modern cuisine, spacious rooms with free WiFi, and a spa. 10 KM from Velburg from Velburg Freedom Worship Center. Address: Marktstrasse 1a, 92331 Parsberg (68 Rooms). Airy rooms & suites in a laid-back hotel featuring a regional eatery, a beer garden & a gym. "Wife and I stayed in the 'apartment 2' room for a crazy 99 euro a night." Located in Hormannsdorf. 5 Minute drive to Freedom Worship Center Velburg. If you are staying in Velburg, the church is located just a few minutes walk from all the hotels and restaurants. We have plenty of parking at the church for all that attend. You may bring water into the sanctuary, but no other drinks unless they are in a sealed container. If you have any questions regarding the conference you may call Pastor Dana Smith at: +49 (0) 170-960-4408. There is plenty of parking for all conference attendees. There will be no childcare provided for the conference.